A wedding package designed by Affordable Beach Weddings is a tried and true, turn-key approach to wedding planning. As savvy wedding planner knows, a wedding that dreams are made of does not have to cost a fortune. And, as with any of our Affordable Beach Wedding packages, we have created them for beautiful brides time and time again, so they are absolutely flawless. Planning a wedding can be stressful and overwhelming. Affordable Beach Wedding packages are not. They save time because they have already been carefully thought through. They have been strategically developed so that they are as cost-effective as possible. Additionally, and possibly most importantly, they eliminate all of the stress associated with wedding planning because Affordable Beach Wedding takes care of it all…down to every little detail, so that you can relax and enjoy your day. 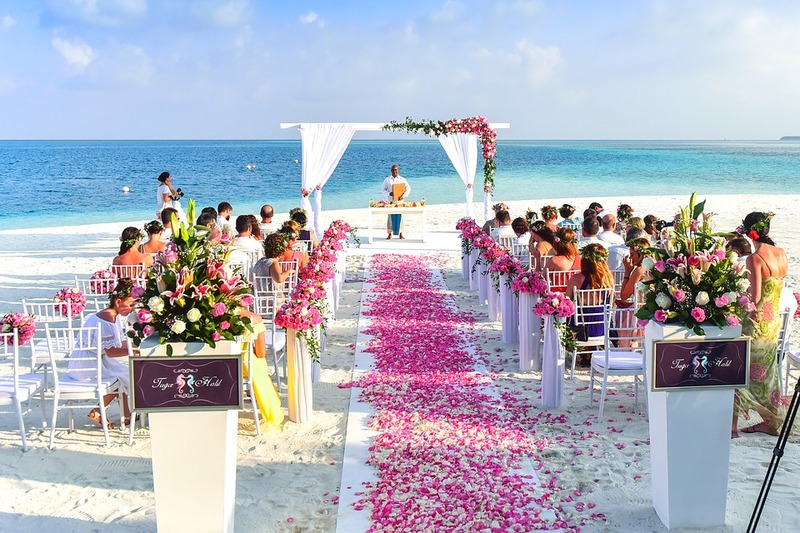 Additionally, Affordable Beach Wedding offers a wide array of wedding packages from which to choose, so there is sure to be an option that will “be the one” for you. Choose from something as simple as just a wedding officiant, to what we like to call our Cinderella Package – with a beautifully decorated canopy and seating, a heart in the sand, a heart vase sand ceremony, lantern isle markers, music, photos, slideshow, welcome table, rose bouquet and boutonniere and wedding flags. 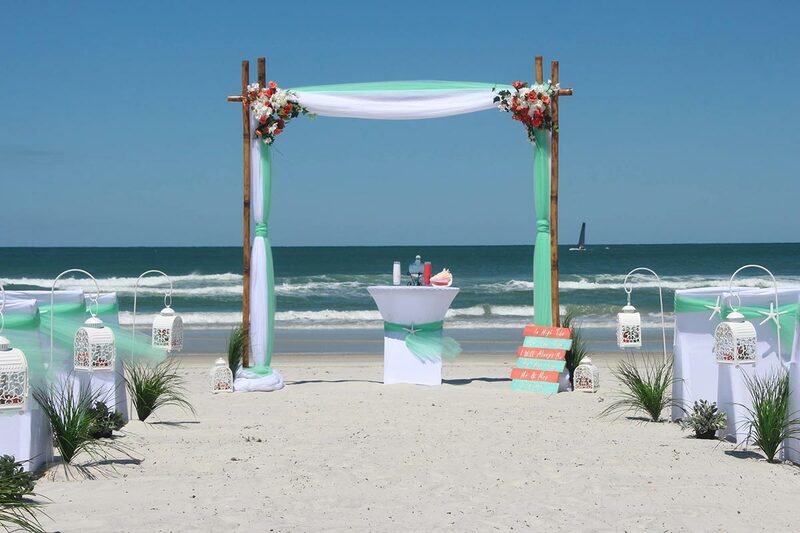 If you would like a beautiful beach wedding in Daytona Beach, New Smyrna Beach, Ponce Inlet or Ormond Beach, you can trust Affordable Beach Wedding with one of the most important days of your life. Our wedding packages have been designed by wedding specialists based on popularity, creativity, elegance and beauty.